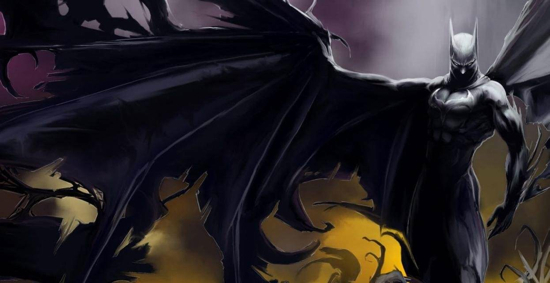 Of all the great, iconic comic book characters in the world, near the top of out list is Batman. He’s a complex guy with issues who has to use his money, his brawn and his brains to fight crime. And that’s damn cool. Sure, he’s a bot OCD sometimes, but that doesn’t make him any less awesome. So, when a new animated series featuring the character is on the way from Cartoon Network, we take notice. In fact, we’ve even got a sneak peak of the upcoming series, called Beware the Batman, for you today. It hits the air on Saturday, July 13 10 am ET/PT on Cartoon Network. Geeks and LEGO go together like Pizza and Beer. Or, like Han Solo and Luke Skywalker. 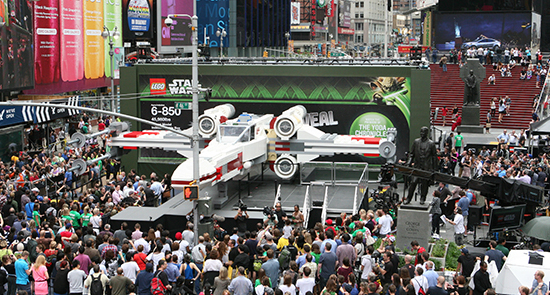 Speaking of Luke Skywalker, a LEGO replica of his favorite fighter, the X-Wing , was recently unveiled during a ceremony in New York’s Times Square. This amazing feet of engineering is the world’s largest LEGO model and is a 1:1 representation of the X-Wing. The massive replica took 32 master builders, five million LEGO bricks and over 17,000 hours to complete. The model weighs nearly 46,000 pounds, stands 11 feet tall and 43 feet long, with a wingspan of 44 feet. This was done, in part, to help Cartoon Network kick off their new TV series The Yoda Chronicles on May 29th. The model itself will be heading to the LEGOLAND California Resort where it will be installed through the remainder of the year. Check out more pics of this awesome LEGO X-Wing after the break. The prequel trilogy is what it is. They work in their own right, but fail to really capture the spirit of the original trilogy. Interestingly enough it has been the side Star Wars products released in the wake of the prequels that have really nail the essence of the originals. Chief among these ancillary projects has been the Clone Wars cartoon series which has excelled as Star Wars fiction. The fifth season of the animated series is on the way and a new trailer has been unleashed to promise a year of action, spectacle, and Darth Maul. The show has been gaining momentum from the start, but recently has really kicked it into a new gear. It is almost a shame that the show is confined to the clone war era because at the end of the day it all still happens before Revenge of the Sith, this show would be a killer format to bridge the gap between the two trilogies. The trailer has lots of action and the one thing that has been seemingly missing from the franchise for a long time, a sense of artistic purpose. It feels like the people behind the series actually want to be telling you this story they are working on, not just pushing out a product by a deadline. You can enjoy the trailer after the jump and the new season this fall. This past weekend Cartoon Network aired a one-hour special showcasing their next DC animated series, Green Lantern. Cartoon Network has a long history of eclectic and generally fantastic shows based on DC characters, and 2012 looks to be a banner year for Warner’s Super Hero stable. Green Lantern: The Animated Series begins with this new special, setting up a plot that sees Hal and Kilowog in deep “frontier space” fighting against the Red Lanterns. The show itself will air regularly in 2012 as a marquee show in Carton Network’s new DC Nation programming. It joins Young Justice and a slew of shorts, news and other fun DC tidbits next year. The most interesting thing about this series is that for the first time ever a Bruce Timm produced show is animated in full CG. Timm’s artistic style is clearly the inspiration for the designs and despite the full CG animation there is clearly an effort to make this show fit alongside the others in the pantheon of Timm-verse shows. While New York Comic Con had tons of scoops and news hit over the weekend, one bit of news that both fans of comics AND animation were eager to hear about was more on Cartoon Network’s upcoming Green Lantern: The Animated Series. Unlike the rest of the DC animated series to cross paths with Cartoon Network, this one is a bit different, as it’s animated using CG, rather than cell animation. Here’s info from the official release. As Earth’s Green Lantern, Hal Jordan is used to being in dangerous situations — but he’s never faced anything like this! Set at the farthest reaches of deep space, Green Lantern: The Animated Series finds Hal on the Guardian Frontier, where he must face down an invasion by the Red Lantern Corps. Powered by pure rage, the evil Red Lanterns have sworn to destroy the Green Lantern Corps and everything they stand for. Dispatched on the experimental spacecraft The Interceptor, Hal is soon joined by an all-new group of heroes on a mission to protect Guardian Space — and the Green Lantern Corps itself! For the past year, Cartoon Network’s Adult Swim has been branching into less of the animated comedy and more into live action spoofs. It started by bringing Rob Corddry’s Childrens Hospital from the web to the TV, and continuing with Paul Scheer’s NTSF:SD:SUV::. With Hospital into its third season, it looks like the network’s second spoof is getting some love too. • Robots are badass, and that’s just what we get from Paul Oakenfold’s newest music video for “Beautiful Machine“. • Who doesn’t love profanity? That’s why this collection of 100 best uses of the word F*ck from films is right down our dirty alley. • The internet may just be popular, as Cartoon Network’s MAD managed to cram tons of memes into this spoof titled ThunderLOLcats. Good news everyone. Well, good news for those of you who are fans of Children’s Hospital. Good, I see some hands there. As you can probably discern from the title of this post, Cartoon Network’s Adult Swim has decided to renew Rob Corddry’s comedy series Childrens Hospital for a fourth season. Thr show will get a 14-episode order for that new season. This is good news, at least to us, as we’re big fans of the show. It’s been steadily funny this entire season so far and, according to reports, is doing well in the ratings. I guess that’s one of the reasons Cartoon Network decided to bring it back for another season. Smart of them, I say. Production will begin later this year for a 2012 premiere. In addition to Corddry, the series co-stars Malin Akerman, Lake Bell, Erinn Hayes, Rob Huebel, Ken Marino, Megan Mullally and Henry Winkler. It airs Thursday nights at midnight on Cartoon Network. Whatever your feelings about Star Wars, and in particular the second trilogy, Cartoon Network is doing a pretty good job with their animated series The Clone Wars. The show has already been on the air for three seasons and is very popular with fans new and old. With season four about to get underway, Cartoon Network has revealed today the premiere date for that season and also sent us a cool trailer to help get you ready for it. And this new season promises to deliver even more thrills and excitement for fans. As the heroic Jedi Knights and their clone army fight to preserve order, their efforts continue to be met with strong resistance from the massive Separatist droid army. Escalating and expanding into uncharted corners of the galaxy, the scope and scale of Star Wars: The Clone Wars continue to grow – with exotic adventures and enhanced animation strengthening ties to the Star Wars saga. Within the galactic battle, fearsome foes from the past return to settle the score. As unexpected alliances are formed on both sides of the battle, the action explodes and the course of the war takes an unforeseen turn! Star Wars: The Clone Wars premieres on Cartoon Network, Friday, September 16 at 8PM (E/P). Click through to check out the trailer for the new season.